Comment: our house is 2700 SF and we have a dettached garage and studio. We have children and pets and would like the most environmentally healthy sprays used. Comment: Retuned from vacation to find droppings in several locations inside the house. Previously caught mice with spring traps In mud room and kitchen. Nashville Pest Control Services are rated 4.79 out of 5 based on 803 reviews of 17 pros. 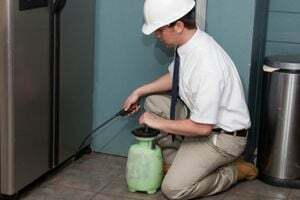 Not Looking for Pest Control Contractors in Nashville, TN?